How about a little less? You hardly hear this question when it comes to PC hardware, especially coolers. But with cramped conditions you need to adapt sometimes. 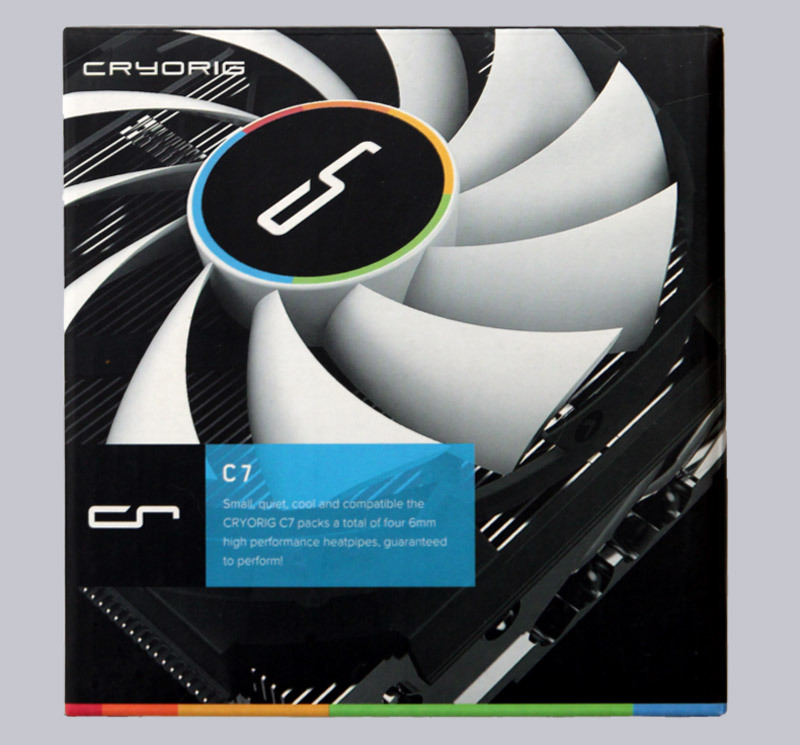 Cryorig produces a cooler with the minimalistic name C7 for these situations. 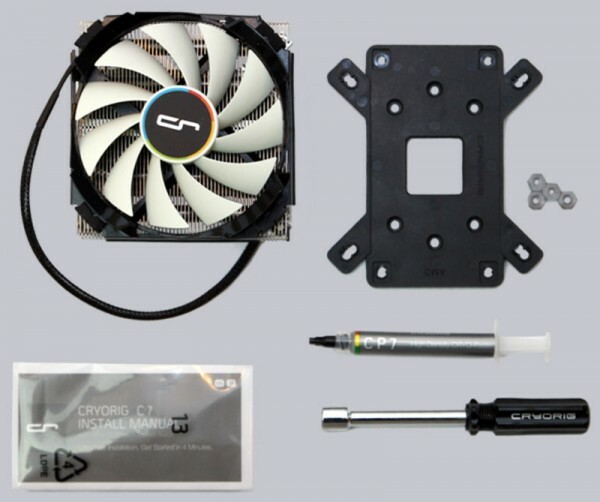 Cryorig is a relatively new company which has the mission to bring in some fresh air into the cooling segment with small, but unorthodox innovations. You can check some of their products out in our previous Cryorig reviews. In this test we want to show if the higher price compared to stock solutions is worth it and if the slender C7 can even hold up to bigger coolers. Many thanks for the support of Hipp0campus and the manufacturer Cryorig. At review date the Cryorig C7 is being sold for about 30 Euro (09/2016). Here you can buy Cryorig CPU cooler. 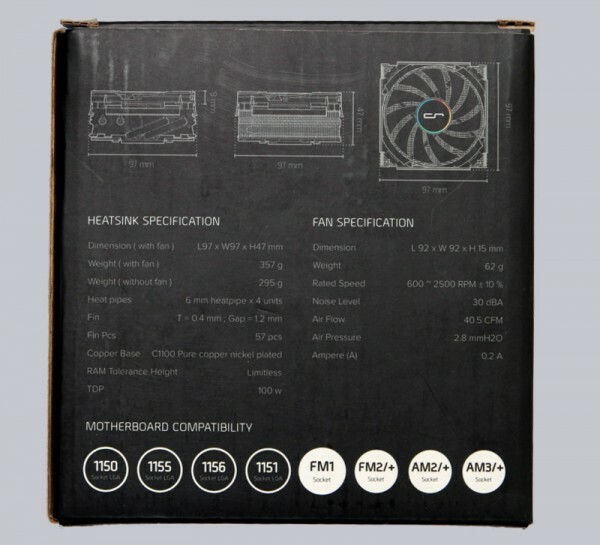 The design department of Cryorig is really outstanding, the box design of the Cryorig C7 is absolutely modern and felicitous just like on the other Cryorig products. Also the box is tiny – the maximum edge length of just 12cm is only a bit bigger than the box of an i5 CPU. On the back we get to know some details and a technical drawing of the cooler. Is there a bag of parts missing from our box? No, there wouldn’t be any additional space for that anyway. The C7 does not need any mounting material except some nuts and a backplate. Cryorig still supplies a good quality 8mm wrench. Some thermal paste is also included of course. The size of the syringe suggests that it might last forever, but after removing the label we can see that this is not the case. Still it’s worth a mention that Cryorig does not supply a sample size for 1-2 uses but a normal sized amount of the high quality thermal paste CP7 with a thermal conductivity of 8.3 W/mK.